It is Father’s Day weekend, and both the Fatherhood of God and the fact that my Dad is gone are colliding within my heart. Dad was strong, imposing, sweet and gentle all at the same time. He loved Christ. And he loved his family. I miss him. Dad wasn’t the most communicative of people when it came to intimate space, a typical son of poor immigrants, who poured his passion into providing for and protecting his family. But when I left home for college, and then seminary, to my surprise, he began to write – a lot. 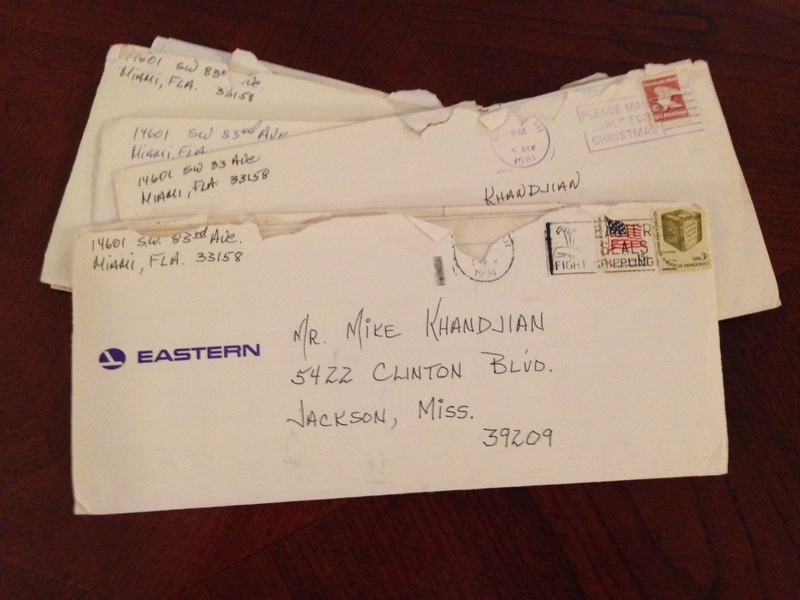 Each month I would receive long letters, written on Dad’s Eastern Airlines stationary (they even smelled like his office) in which he poured out his love for the Lord and the family in great detail. I discovered that he had a lot in him, and the letters (all of which I still possess as treasures) offered safe passage for speaking his heart. I was blessed with a good Father. And I always wished someone like my Dad for friends who had sadder stories with their own parents. Dad made believing that there is a Father in heaven who loves me more natural than if I had to fight through harsher experiences in accepting this to be true. And I have come to believe that my greatest struggle with God isn’t the tenets of the Christian Faith, but in freshly believing the intimate realities that accompany it. Tomorrow I begin a summer series on The Lord’s Prayer. Right out of the gate Jesus teaches that more than a theological tenet, God is a Father, ‘Our Father…’ And further, this foreboding God of the Old Testament, all along (you can hear the passion in the covenants, promises and sacrifices), had a lot in Him… for us. And He sent all He had, in Jesus, for the very reason my Dad wrote those precious letters. How blessed you are to have had a father like that, Mike. My dad was not communicative either. If he loved us, we didn’t know it. The first time I ever heard the words “I love you” out loud from my father was when he was on his death bed and I was 46 years old. He said it in response to telling him that I loved him. I had told him before, but he never ever responded in the same way. Knowing we’re heading to eternity makes changes in the way we think and act. I am thankful that I have that memory. I can still picture it in my mind. I don’t know the exact day and hour, but I have the memory, just like I don’t know the exact day and hour I believed by grace along, through faith alone, in Christ Jesus as my Lord and Savior, and God is my heavenly Father, who loves me with a steadfast everlasting love. Amen! Even though I haven’t seen them in decades, I remember your father and mother with great clarity. They were wonderful people who made positive impacts on many lives. Better than money, antiques or gold, your father’s letters are indeed precious treasures. Like your father, Daddy has never been good at communicating his feelings to me. Perhaps it was more their generation and the way they were raised than the fact they had to work so hard to feed, house and clothe us. Either way, we were both blessed with fathers who loved the Lord. Wishing you a Happy Father’s Day, Mike. You are currently reading Letters from Dad at unfinished1.